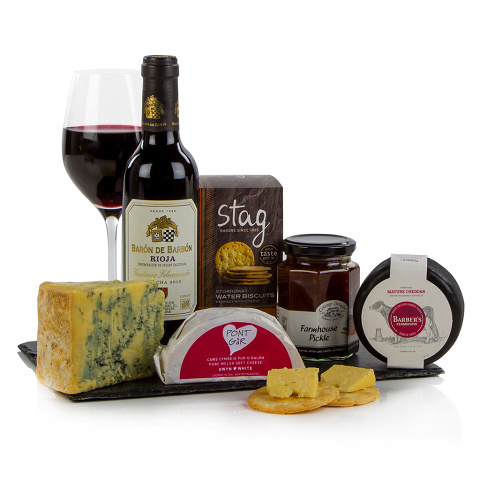 The Wine and Cheese Slate comprises three scrumptious cheeses, a farmhouse pickle, water biscuits and an excellent Rioja. Each cheese is delicious in its own right; the Barber's Cheddar is strong, tasty and ever so slightly crumbly; the Pont Gar Welsh White Cheese is soft and creamy, as is the Cropwell Bishop Stilton. An excellent gift choice.